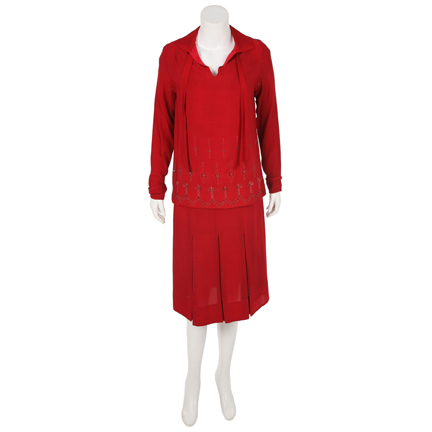 This red silk dress was worn by the character Frida Kahol, portrayed by actress Salma Hayek in the 2002 feature film “Frida” directed by Julie Taymor. 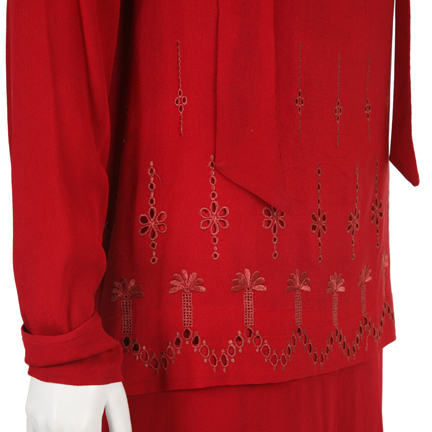 The costume is an original two piece 1920’s dress constructed out of silk organza, the dress is adorned with floral eyelet details along the hem of the over shirt. 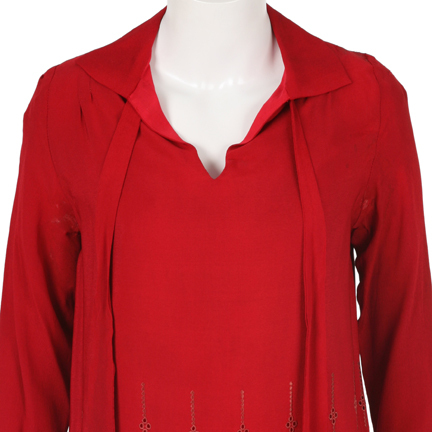 There is evidence of wear in the under arms of the over shirt due to use and age. 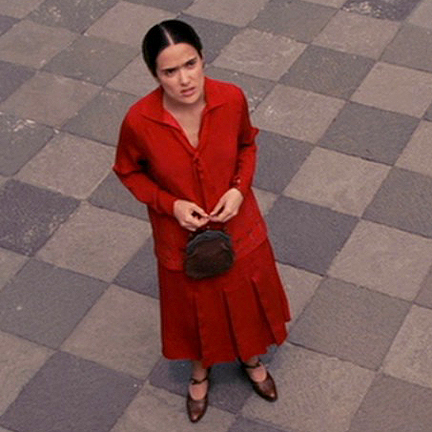 Ms. Hayek wears this dress towards the beginning of the film when the young Frida first approaches the famous Mexican painter Diego Rivera played by Alfred Molina, to get his opinion of her artwork. This initial meeting is the beginning of a life long love affair and a very important plot transition in the film. 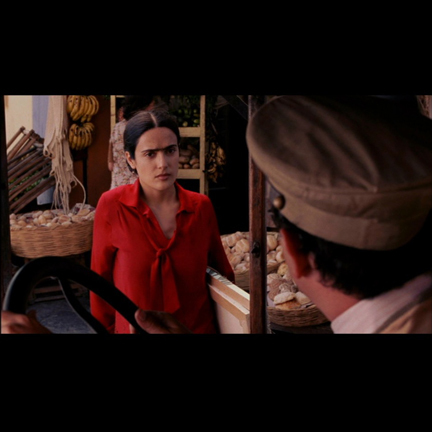 For her performance in this film, Salma Hayek was nominated for an Oscar and Golden Globe for Best Actress in a Leading Role. 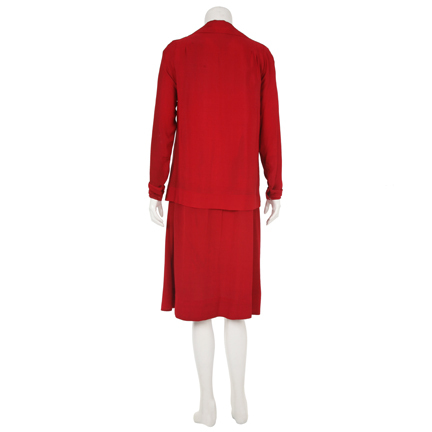 This garment is in good screen worn condition with minor evidence of wear from its use on the production and is accompanied by a letter of authenticity from the costume house who provided the dress for the production.